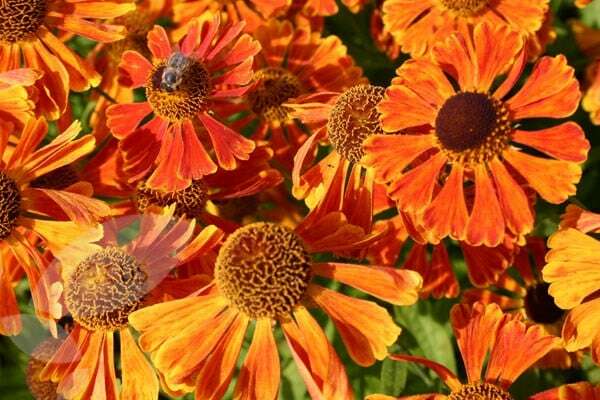 Sprays of bronze-orange daisy-like flowers up to 8cm (3in) across splashed with yellow and with prominent, disc-like centres appear from August to September. 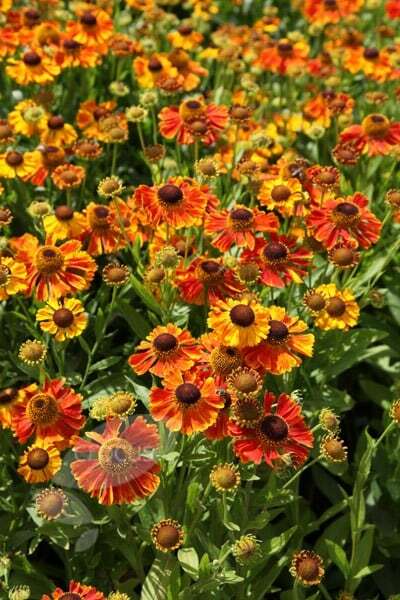 This robust, upright perennial looks wonderful planted in bold drifts in a sunny moist but well-drained spot. Providing a splash of colour when many other perennials are starting to fade, it makes a wonderful companion for ornamental grasses and yellow, white or earth-toned flowers. Bees and butterflies love it and it makes an excellent cut flower, too. 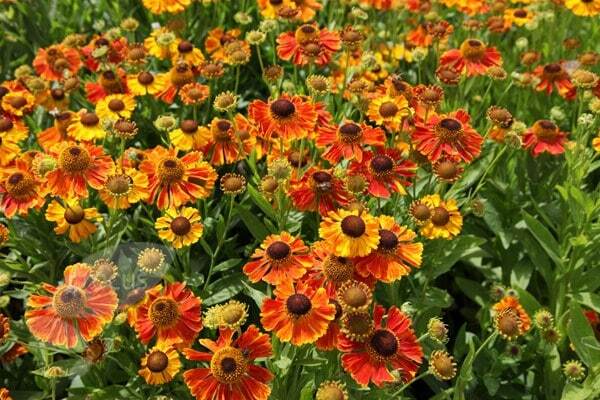 Garden care: Heleniums are versatile plants that love plenty of sunshine and moist soil. They rarely suffer from pests or diseases, however young plants do need to be protected from slug attack. Tall varieties need to be staked. 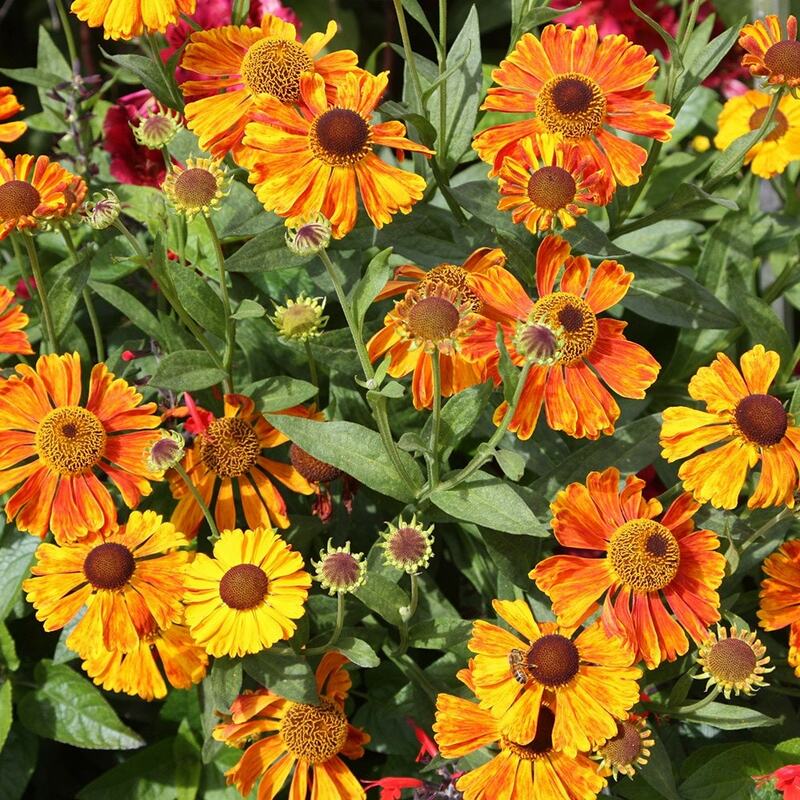 To encourage the plant to repeat flower deadhead back to side shoots that have flower buds emerging. Cut back by half after flowering to help prevent mildew. Cut down to the ground in late winter. 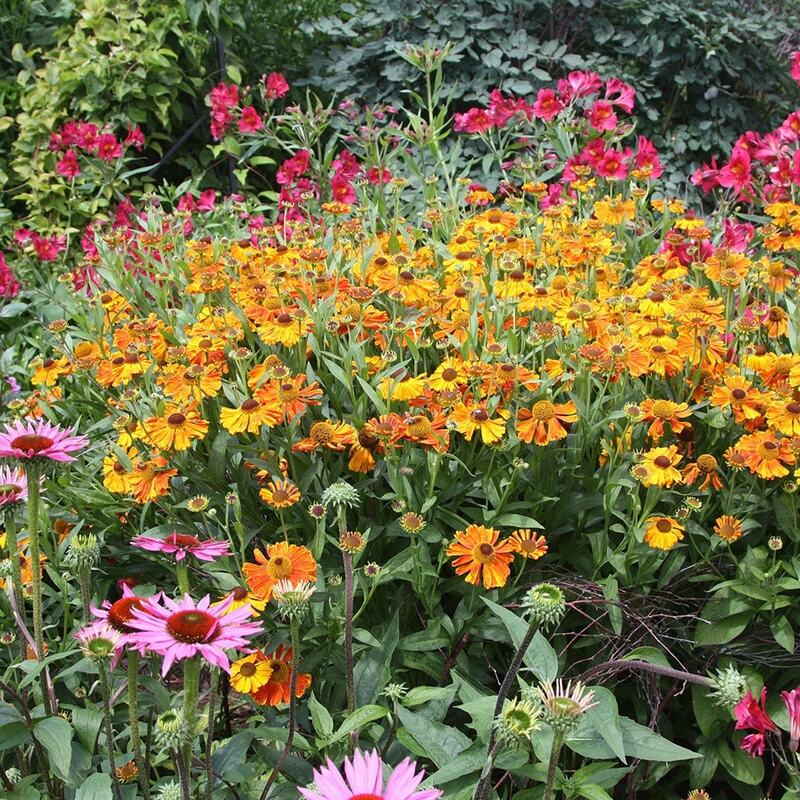 Every two or three years divide the plants in spring to keep them in top condition. When replanting add loads of well-rotted organic matter to the soil to feed them and keep them moist. Hello, It's a type of Alstroemeria, but I'm note sure which.